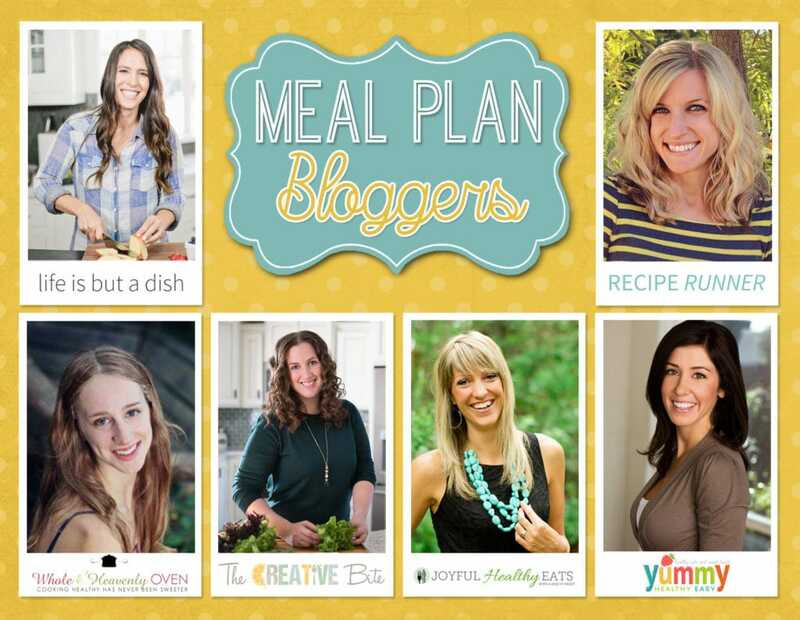 Organize your meals for the week while keeping them easy, healthy and something your family will love! 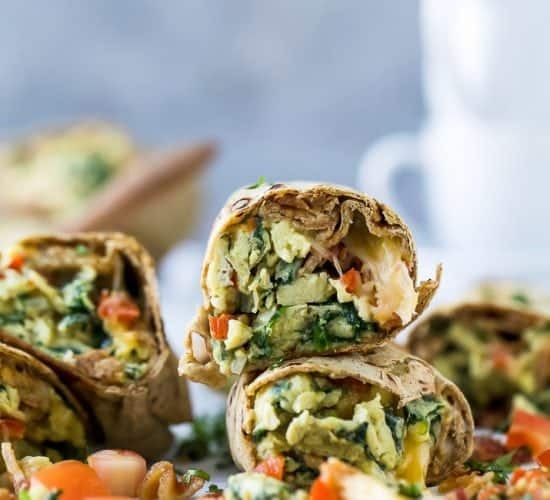 Everything you need in one meal plan: breakfast, lunch, dinner, snack, and a desert for the week! Jamaica’in me crazy! I’m so sad to be back but we had an absolute blast. 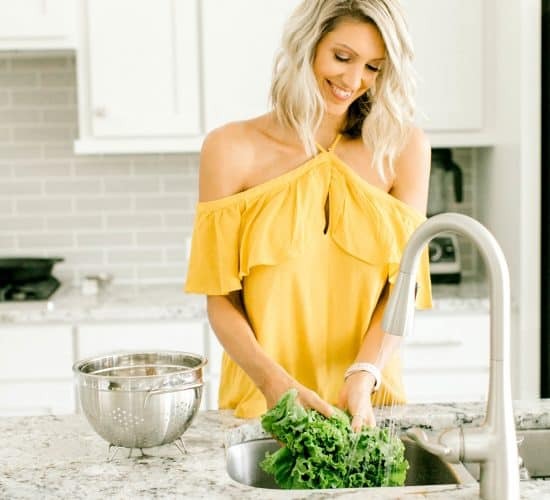 Now it’s back to the daily grid, but I’m doing it with “fresh eyes.” I hope you enjoy this weeks meal plan as much as I did putting it together! 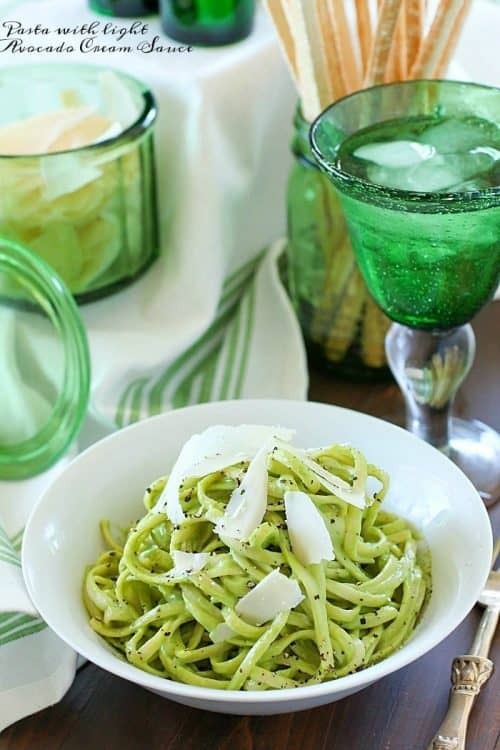 Pasta tossed in a Light Avocado Cream Sauce = the best pasta dinner ever! 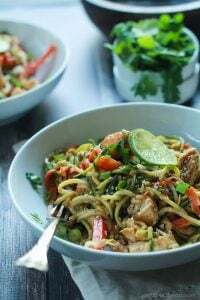 With only a few ingredients, it’s incredibly easy to prepare! 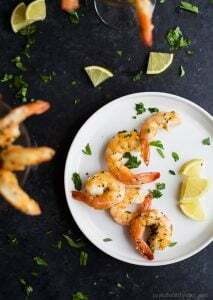 It’s a great weeknight meal but fancy enough to serve for a nice dinner. 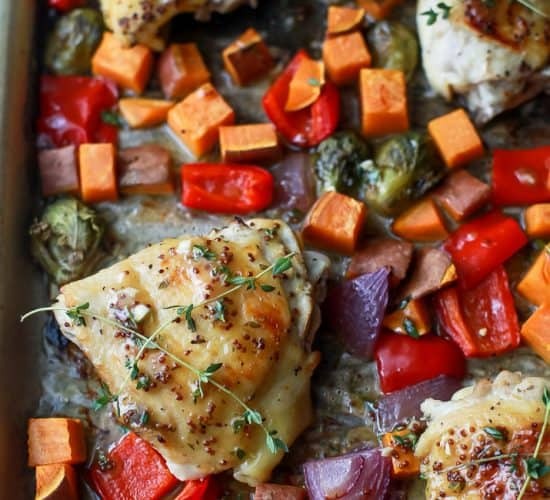 Kickin chile-rubbed chicken and peppers bake up on one sheet pan to make these ULTIMATELY easy and flavorful chicken sweet peppers tacos! 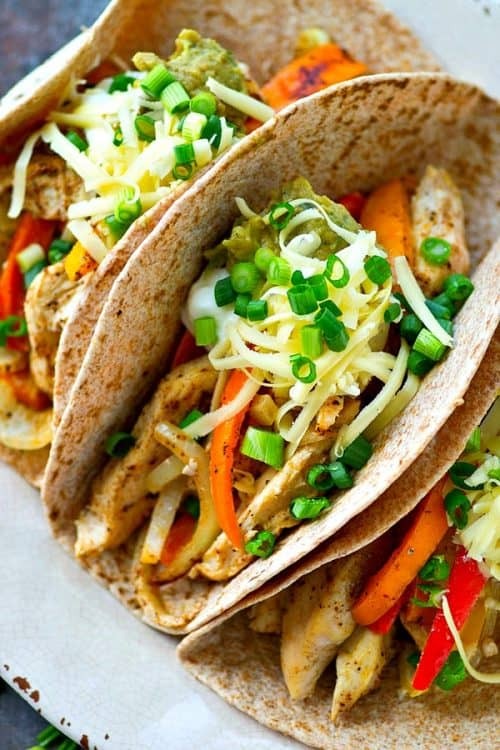 Load ’em up with all your favorite taco toppings. 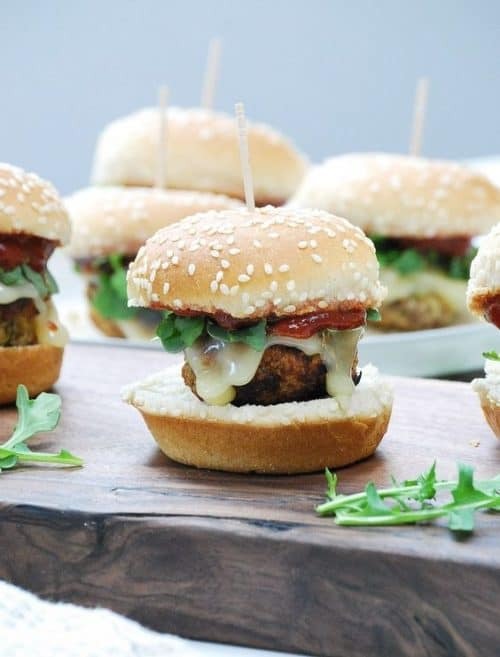 Zucchini Apple Turkey Sliders, the perfect midweek meal break! 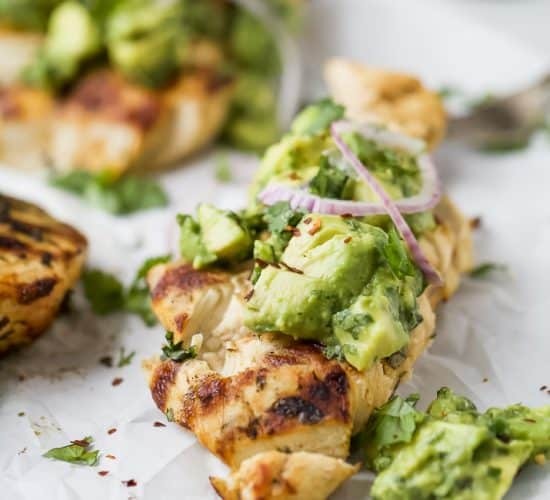 Whip out that grill and get to cookin! 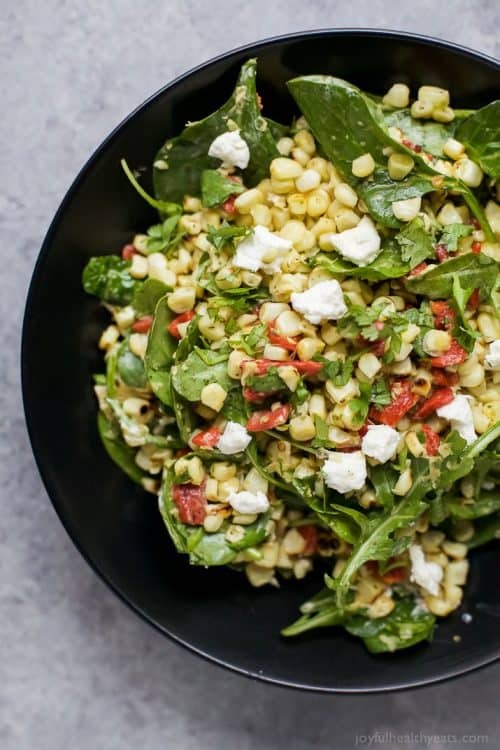 A simple healthy gluten free GRILLED CORN SALAD filled with fresh greens, roasted red pepper, and goat cheese then tossed with a spicy JALAPENO DRESSING. 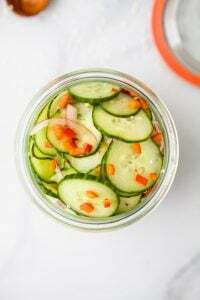 This Corn Salad is the ultimate side dish of the summer! 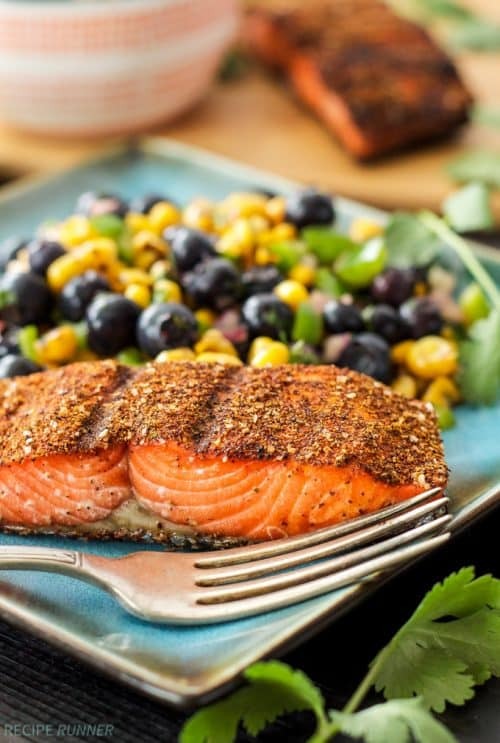 Grilled fillets of Sockeye salmon seasoned with a southwest rub and served with fresh blueberry and corn salsa are the perfect pairing of flavors! 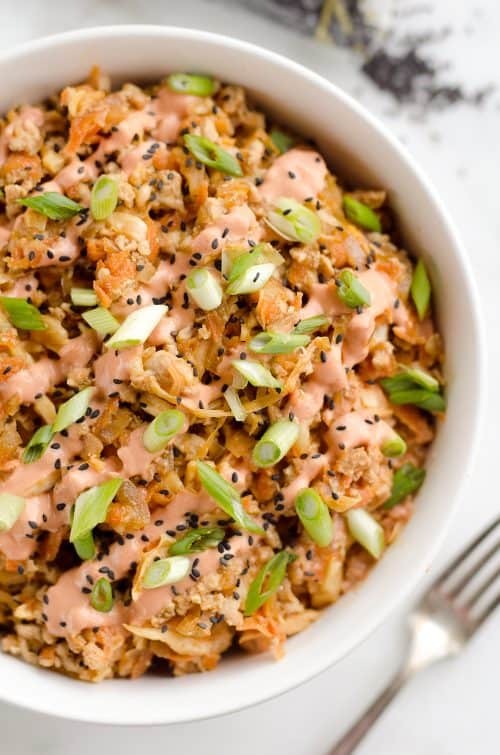 Turkey Egg Roll Bowl with Creamy Sriracha is an amazingly healthy and easy 20 minute bowl of goodness perfect for lunch or dinner! 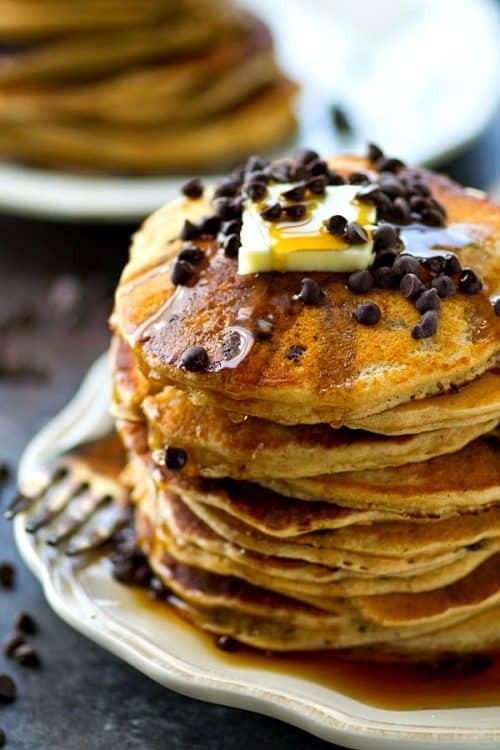 Almond butter makes these chocolate chip pancakes SO extra fluffy, you won’t be able to resist devouring an entire stack! The batter mixes up in only minutes for a quick weekday breakfast. 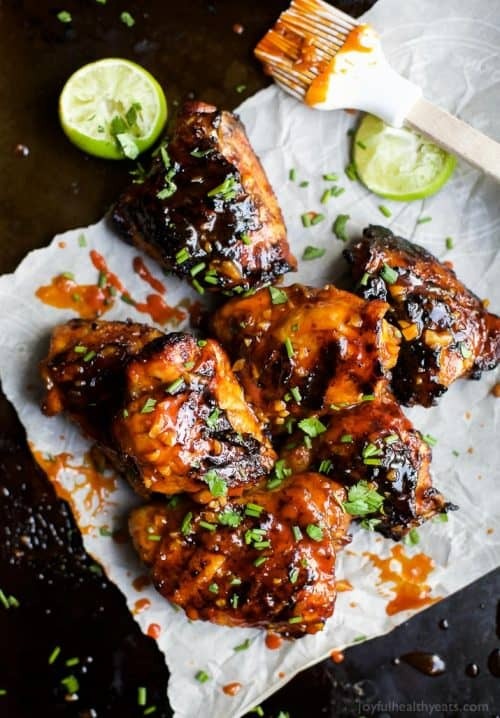 Sweet & Spicy HONEY SRIRACHA GRILLED CHICKEN THIGHS – juicy smoky chicken thighs slathered in an easy Honey Sriracha glaze that will make you swoon! I guarantee these will be a hit! 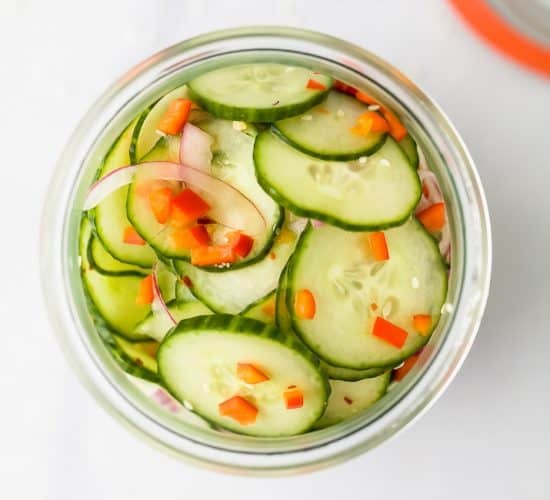 Say hello to your new favorite, refreshing salad – Cucumber, Dill, Feta and Pistachio Salad! 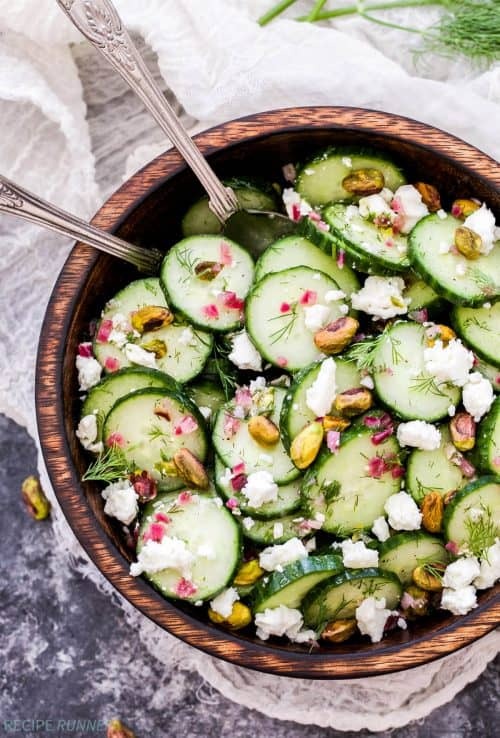 Crisp cucumbers, fresh dill, salty feta and crunch pistachios are the perfect combination of flavors. 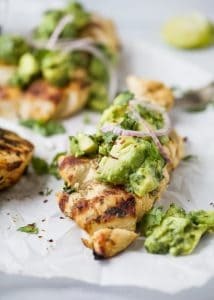 You’ll be making this all summer long! 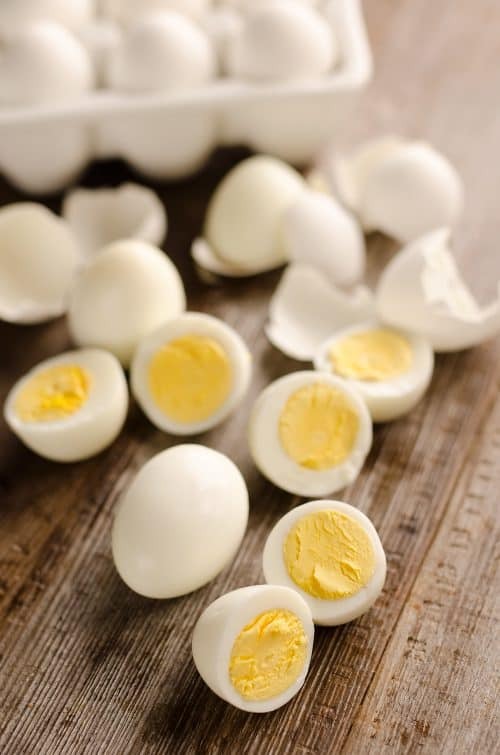 Are you wondering How to Make Perfect Hard Boiled Eggs? 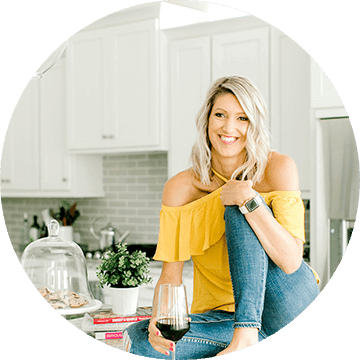 If so the Instant Pot is the trick you need to try for the best eggs! These easy to peel hard boiled eggs are cooked to perfection in less than 15 minutes. 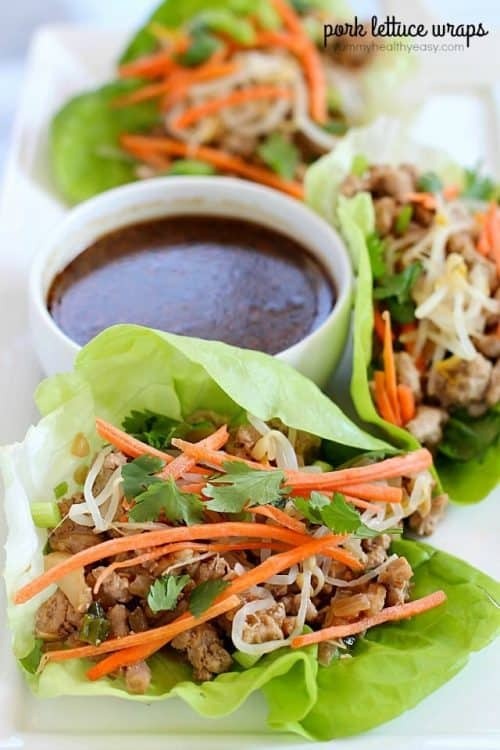 Flavorful pork lettuce wraps with an asian drizzling sauce – great for an appetizer or a low-carb meal. 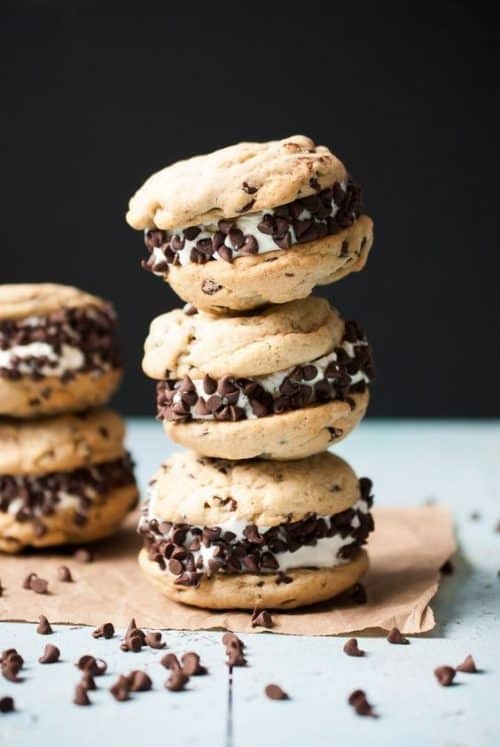 Pretty much you’re gonna want to eat these all summer long – Chocolate Chip Ice Cream Cookie Sandwiches. 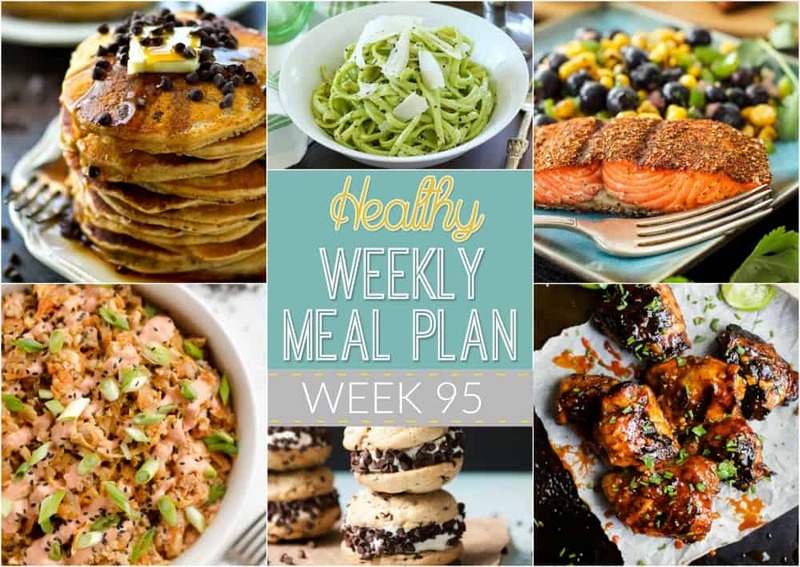 I am wondering if there is a way to print off the weekly meal plans as a whole and not have to select each on and open then print the recipe. unfortunately there is not… sorry Cara! Hi Krista! I’m just wondering if you all will continue the weekly meal plans anytime soon. I’ve missed seeing them every week.